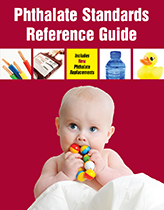 Our New Master Catalog contains a comprehensive listing of AccuStandard's Analytical Chemical Reference Standards (Organic, Inorganic, Petrochemicals) you can keep on your bookshelf. 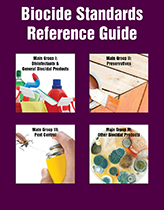 New and Updated products include: Cannabis Standards, PIANO (ASTM D6729, D6730, D8071), Perflourinated Compounds (PFCs), Biofuels, (EN12916, EN15779, IP391/07-01, IP585), Drinking Water (ASTM D7599, D7600, D7645), Nitrogen in Water (ASTM D8083), USP Residual Solvent Standards (NF 467), Explosives, PCB Metabolites, Polychorinated Terphenyls, Chlorinated Diphenyl Ethers, Brominated Dibenzo-p-Dioxins, Tetradecabromodiphenoxybenzene Metabolites, Phthalate Replacements and Pesticides. Inorganic Standards - ICP, ICP/MS, AA single elements, Ion Chrom, Wet Chemical, TPH, Oil and Grease, ICP multi-elements, Alternate Source (Agilent/Varian, Perkin Elmer, Jobin Yvon, Teledyne, Merck), ICP/MS multi-elments, Organometallic (wear metal), and Elements in lubricating oil. 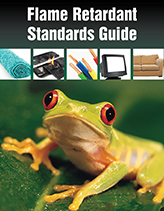 AccuStandard is now offering an additional 56 pesticide standards. Of these standards, 14 of them are the singles for US EPA method 535 (determination of acetanilide and acetamide herbicide degradates found in U.S. ground and surface waters). These products include the ESA (ethanesulfonic acid) and OA (oxanilic acid) sodium salt degradation products. 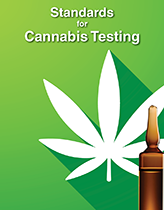 AccuStandard offers standards for testing cannabinoids, pesticide contaminants, residual solvents, terpenes, and heavy metals. The requirements differ by location. We have developed standards specific to California, Colorado, Massachusetts, Nevada, Oregon, and Canada. 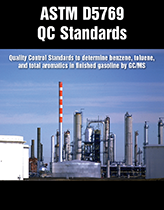 ASTM D5769 Quality Control Standards to determine benzene, toluene, and total aromatics in finished gasoline, including gasolines containing oxygenated blending components by GC/MS. A comprehensive listing of explosive standards traditionally used for the remediation of soil and water in locations where explosives have been stored. 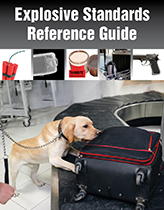 These standards are also used to calibrate baggage screening detectors at airports and other secure locations (embassies and other government buildings) and the training of animals to sniff out dangerous compounds by police departments and the military. Among the 74 single analyte compounds offered as dilute solutions are TATP, TEGDN, PETN and HNS. 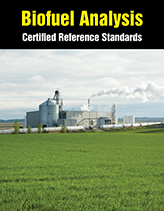 Mixtures designed for US EPA Methods 8330, 8095 and 529, German DIN 38407-21 are also available. New standards include 7 individual explosive degradation metabolites, and 3 additional inorganic single elemental standards (Al, Sn & Zn) for gunshot residue analysis.